Everyone wants a clutter-free home, but sometimes kids need a little extra encouragement to tidy up after themselves. 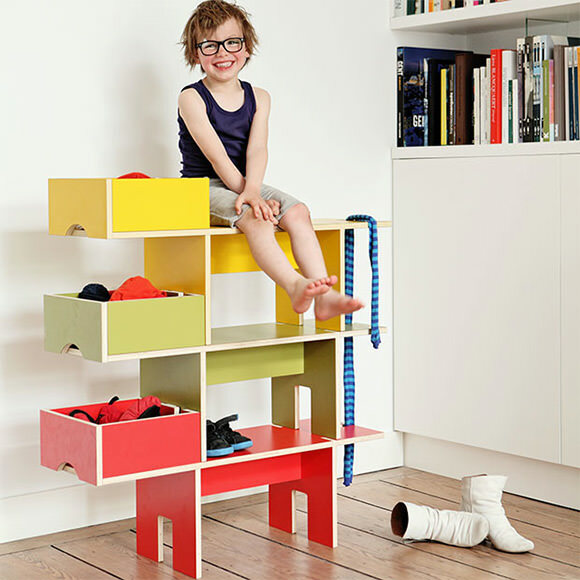 Here are six clever kid’s room organizers that will inspire your little ones to keep their space organized. 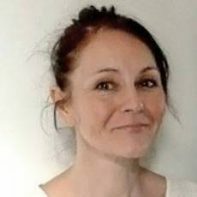 I’m not exactly a neat freak, but as a mother of three I have to admit that life is so much more enjoyable when my kids lend me a hand with the housework, usually in the form of picking up, sorting out, or even throwing away (e.g., how long has that toast been under the bed, would you say?). 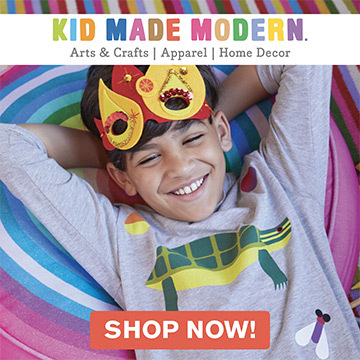 Yes, children should be children, spontaneous, carefree, and messy. But I don’t think there’s anything wrong with teaching them how to tidy up when they’ve finished playing or how to respect books and other possessions, especially when space is a problem at home. 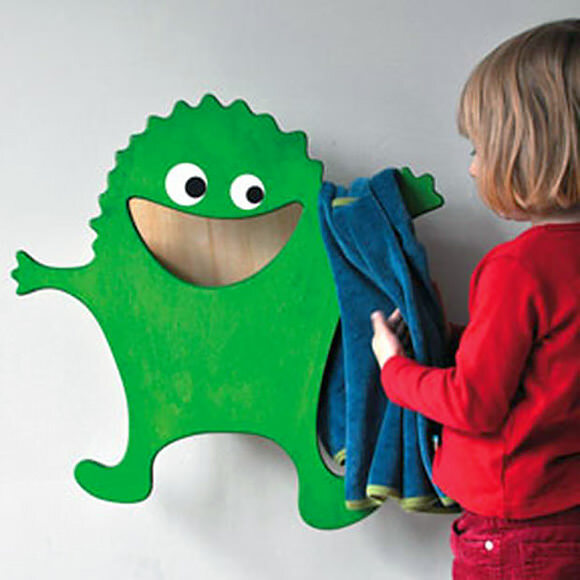 I’m always on the lookout for new, original storage solutions, and I love this collection of fun designs. Enjoy! Hugo is bright, colorful, and fun! Hang him in the bathroom and he will eat your children’s dirty clothes. A friendly chap, he’s also very clever and will take care of hats, coats, and scarves. So kind of him! 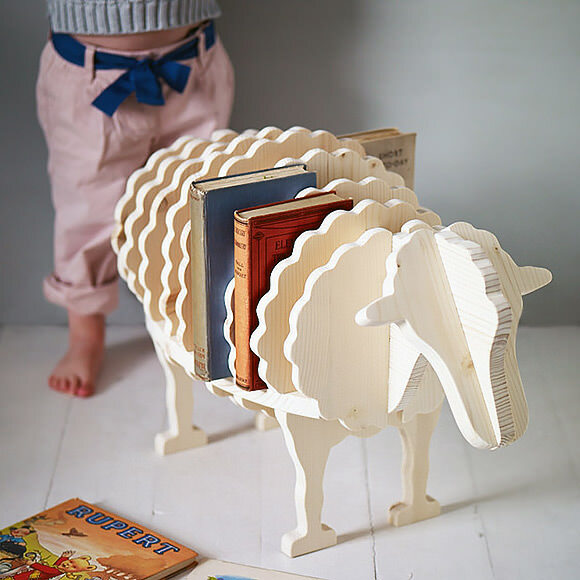 Your little lamb will love keeping their books and toys in this sweet sheep bookshelf. Available in black or pale natural wood, Baa-Baa is a perfect friend to enjoy a bedtime story with and to decorate the room. There’s a nice heirloom quality to this piece as well. 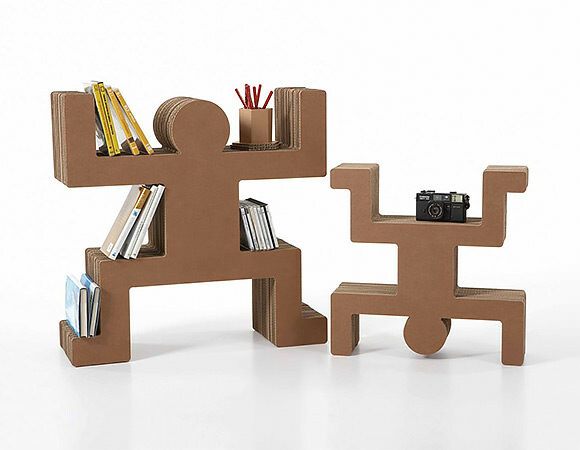 Bend me, shape me, anyway you want me—cardboard is such a sturdy yet versatile material! My youngest son would love having these funny folk in his room, wouldn’t yours as well? Spanky is perfect for CDs and magazines but could be used to store other objects in a kid’s space as well. 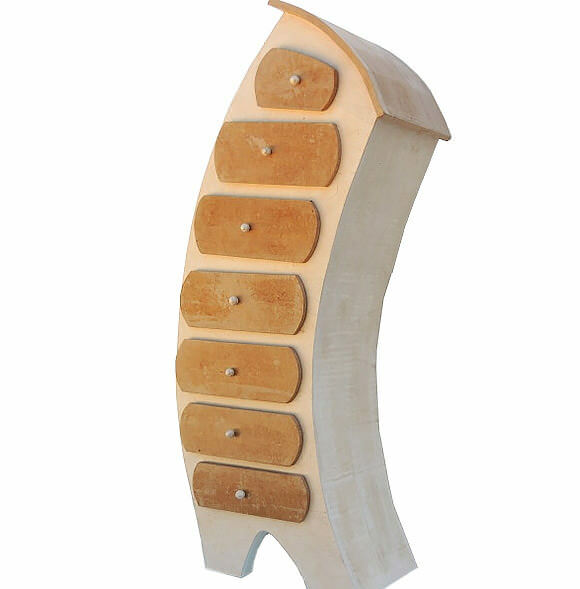 Speaking of flexibility, this French chest of drawers is bound to make your little ones giggle. Made from strong recycled cardboard, it has seven drawers for the seven days of the week (kids will find this magical!). I’d love to see this painted too! Designed for Japanese furniture maker Ichiro, this ingenious little wagon contains three colored shelves that can be stacked, unstacked, and wheeled around. One of the nicest kids’ products I’ve seen this year. Pictured at the top of this post: Although not a bookcase per se, this fantastic trio of doggy seat/shelves sure look fun stacked up high. The Bobby Seat by Moupila is available for $442 from Afilli.